I was off to what is for me a new bit of the country yesterday, as I was doing an event in Widnes. I’m ashamed to say I had to look at a map… I’d been invited to the Catalyst Science Discovery Centre, which I didn’t know much about before, but which I would definitely recommend as a place to visit if you are in the area, It has great displays and hands-on workshops for children. 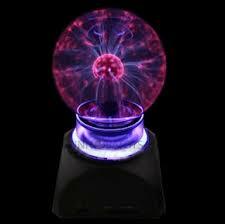 Having seen the ‘Explore Your Universe’ workshop, I have got to get my own plasma ball!! I was doing a DNA workshop and talk, based round What Makes You You?, and had a great audience of children and parents. The strawberries produced lots of lovely DNA (it’s always an anxious moment as you wait for it to emerge) and the audience produced lots of excellent questions. Thanks to everyone involved for a great day, and I hope I’ll be back in the near future. In the meantime, it’s back to Dundee (virtually my second home) for another Crazy Creatures event tomorrow. And I’m ploughing onwards with the fiction – hoorah! – as well as the next two science books. « Back to the books at last….